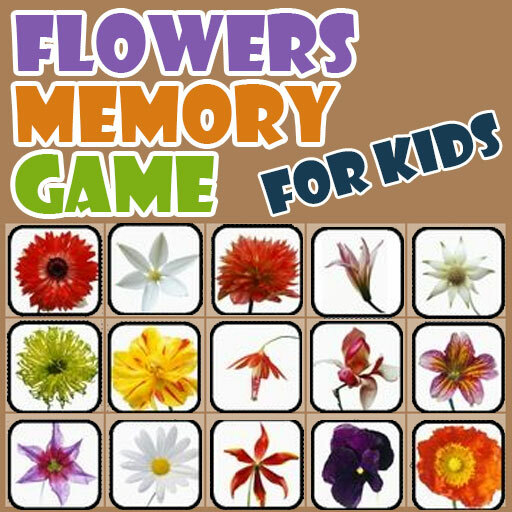 Flowers Memory Game for Kids is a memory game of flowers. You will see many flowers like Lotus, Sun flower, Lilly, Rose and many more in a very beautiful Peach and cream combination. This game is very interesting and easy to play for kids. Through this game your kids learn about Flowers. This App simply make sure that kids enjoy the light and sober colors. You can play this game with your kids and this game will help to improve their recognition while having fun. This app contains very attractive images of flowers like Rose, Lotus, Sun flower, Lilly and many more which are on memory cards. All ages children loves this game like preschoolers, school children. Both boys and girls will love this game. 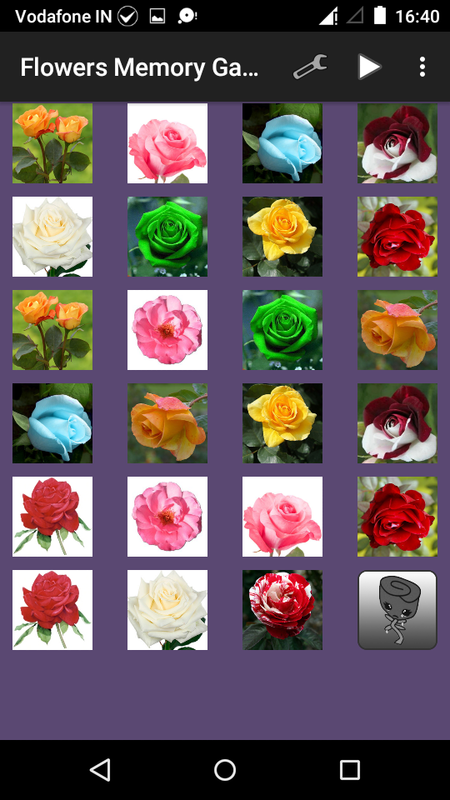 This app having many flowers and your task is to find these same flowers and match them up. You should match flower image to the flower name in a specific time in order to pass a level. 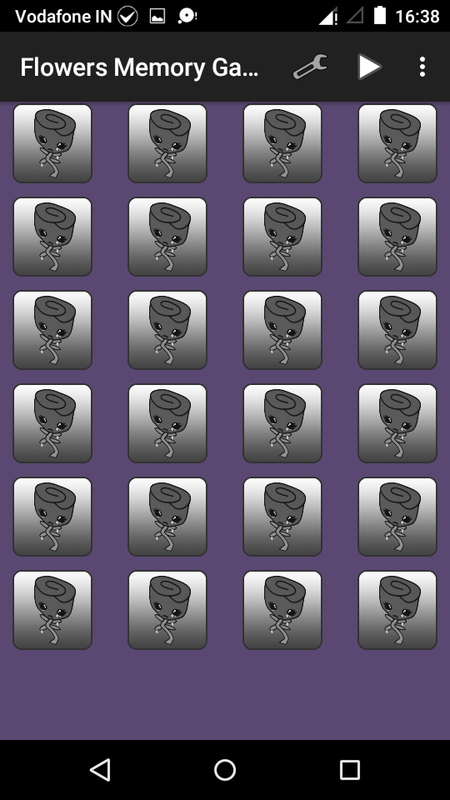 Enhance your memory and intelligence (IQ) using the new Flower Memory Game. A memory game developed and designed to make scientifically proven that regular mental exercise in recent years. Memory game for children, which is one of the best applications. Two playing the same card will develop your ability to find and memorize cognitive. Do your performance compared to other members and follow your progress with your friends. This Game is a great way to improve concentration and cognitive skills! Aim at the touch of a minimum card and to match all the cards in the shortest possible time in the game. Two identical cards will improve your ability to memorize cognitive and memory while playing the game to find out. You also measure your memory with a memory game, which made the game for you! Find more flowers clicking two squares at a time. 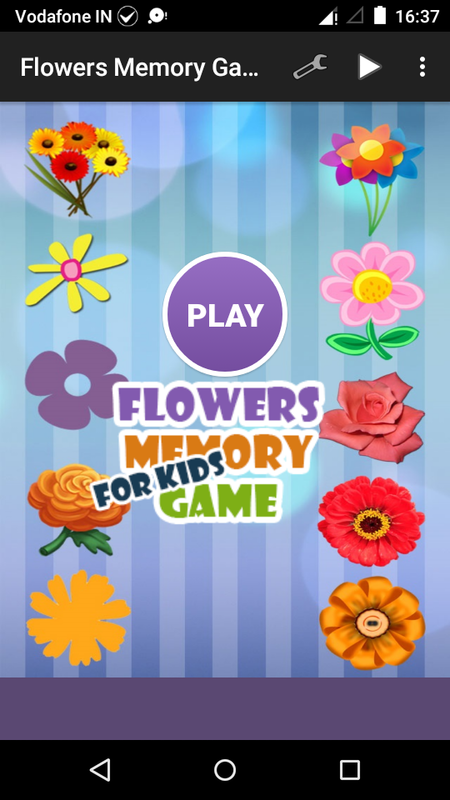 Download this flower memory game for Android phones and tablets and prepare to be stunned by the amazing graphics and high-quality gameplay!